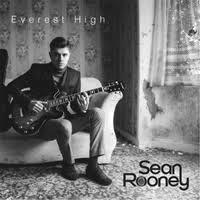 ‘Everest High’ is the first single from Longford musician Sean Rooney. The poignant track shows Rooney speaking openly about mental health problems. ‘Everest High’ is written about the struggle that comes from suffering with depression and is told from both the point of view of both the sufferer and the point of view of someone who doesn’t understand what it’s like to have it. The video features both Sean and Irish actress Lorna Quinn from Irish film Dare to be Wild, Love/Hate and Fair City. It was filmed between Longford and Leitrim and produced by Outtake Community Media. Sean has been playing on the Irish music scene for a year and garnered a steady following by playing slots on stages at Bloom in the Park, YouBloom, Free Fringe Festival, The Workman’s Club and Whelan’s. Next week will see Sean make his first Electric Picnic appearance at the Declan Sessions Art Lot stage. He is recording his debut EP at Real World studios in Longford and it is due for release later this year. The video can be viewed via the below ‘Hot Press’ link.